Hello. I'm Barindra Dua, Owner of Mathnasium of South Surrey, your neighbourhood math-only learning centre. We help kids in grades 2-12 understand math by teaching the way that makes sense to them. Summer Program enrolment is now open. Our summer programs are all about getting kids ahead in a fun, supportive environment. We offer flexible packages to fit your summer schedule. Choose from our 10 sessions, 16 sessions or unlimited summer membership. Call us today at (604) 426-9908 for a risk-free assessment and let us help choose the right summer package for your child. Start your child's transformation with our Customized plans and Proven results! Good teachers, excellent service by Barinder, motivating environment and very flexible. Kids asked for it and continue to look forward to it. My kids enjoy going to Mathnasium . I also love that the schedule is very flexible . Everyone there is very helpful and is very kind and will take time to explains things that you don’t know until you understand which is great! If someone is struggling with math or wants to get ahead in math, Mathnasium is that place to go. My daughter has started to love maths since she joined Mathnasium. Now she tries to find different ways to solve a problem. She never liked Maths and now she keeps asking for more and more worksheets at home as well. Thanks to the instructors and Ms. Brinda. My child is always ready to go to Mathnasiym! My nieces final mark in Math is up almost a full 20% because of the exceptional instruction and instructors at Mathnasium South Surrey. The people there are amazing and easy to talk to. My son is enjoying his class. My daughter is very happy and I see her progress every month. The program and people are amazing! The price is my only hesitation. I wish there was a more flexible price structure, depending on how often you go. My child is not happy the day, not going to mathnasium! the owner is fabulous. she is so accommodating. I'm always amazed that she remembers everyone's names (parents and students!). there are no high pressure sales tactics. my kids are always so proud of their work and accomplishments (i.e being able to solve the "problem of the week"). Our children are certainly more confident in their math skills/knowledge as a result of their time with mathnasium. thank you!! My sons grade has increased by a third and he likes going and feels supported. A great investment in his confidence. It’s a great Math program that allows you to learn the basic , a solid foundation to build your love for Math without frustration and tears! Mathnasium has really boosted my daughter’s confidence. She has quickly gained skills and is performing better on tests in only a month of tutoring! I really appreciate that the tutors are willing to accommodate helping her learn some of the math that she is currently struggling with at school while following the program they have established for her learning. The staff are friendly, supportive and knowledgeable! My daughter wants to continue to come to learn which in itself attests to how good Mathnasium is. It’s been a great experience so far. My daughter has enjoyed coming. It is a bit pricey, though and I think that may be a deterrent for some people. My daughter is loving it! Barindra was super easy to talk to and explained everything so well. Very accommodating. Highly recommended. So far my daughter is so happy to go and learn at mathnasuim. All her questions are answered and she's getting the help she needs all the time. Mathnazium is a great base programme it works for all children. My 11 year old , enjoyed her summer with Maths so much , just this morning she said next summer I want to Mathnasium all summer coz I learnt so much but it wasn’t hard . Continuing this program has always given my son the confidence he needs, it helps him stay ahead of his class, and this in turn allows him to work ahead in his other subjects. We’ve done it since my son was five and we will continue it until until he graduates! Thank you so much for all your help! The owner is very nice ! My children look forward to Math! Our teen son found this place calm, quite and with a constant support . This way he was able to concentrate and also was free of stress asking questions when needed. He is slowly finding passion for Math and actually has a smile on his face when he is done. Our experience was great. It's an easy and simple sign up and my son learnt a lot from them. I would highly recommend it. My so has had struggles with math for a couple of years. The safe and encouraging atmosphere at Mathnasium has made him feel comfortable enough to ask for the help he needs from the teacher there. His confidence in the short amount of time he’s been there is incredible to see. I feel very good about knowing he will go into the next school year feeling prepared and ready. Thank you! Mathnasium makes learning fun. My daughter has never been so enthusiastic to complete sheets and earn rewards. My daughter struggled with Math her whole elementary/high-school life. It was such a struggle that it actually affected the whole family, believe it or not. We tried different tutoring services but with little to no improvement. Then one day, in talking to another soccer mom at a game, I found out about Mathnasium. She was so enthusiastic about it and said that it had been such a help to her children that I decided to try just one more tutoring facility. Our daughter started at Mathnasium in Grade 8 and it was like a true breath of fresh air. At mathnasium the difference for our daughter was that concepts could be explained in many different ways. It was like suddenly someone was speaking her math language that she could understand. Math was still a challenge for her, and still is today, but she was no longer the "deer in headlights" so to speak, no longer feeling helpless, she had some tools to figure things out herself. She stayed with Mathnasium until this summer which is when she graduated Grade 12. We are forever grateful to Mathnasium because our daughter now has tools to take her through the rest of her post-secondary education. Mathnazium has a great math system broken into small assignments and kids learn it easy also Staff works really hard. My son has been going to mathnasium for 3 years now and for 2 years running he has earned straight A's for grade 6 and 7. I could not be happier or a prouder mom. Thanks Barindra for all you have done to help and support him. I have been very pleased with Mathnasium. My daughter enjoys attending and her teachers have noticed a marked improvement inher math skills and her confidence. Wonderful program. Really built up my son’s confidence. Definitely noticeable improvements in his everyday math capacity. Program flexibility was a major bonus. Not only would I recommend the program, planning on returning in the fall. This location is the best. My daughter hated math before joining Mathnasium. She is motivated now and loves doing math. That is a phenomenal improvement and will give the credit to Barindraand Team. My daughter received an A on her last report card! We are so happy for the confidence Mathnasium has helped her build. The South Surrey Mathnasium is simply the best learning centre we have encountered for our daughter's math progress. 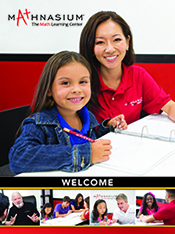 What makes Mathnasium stand out from the other tutors/learning centres we have tried is that they really listen to your child and get to know their learning style. If one way of teaching a concept does not work for a child, they will use others until they find the right teaching style that suits them. The versatility, care and patience that is demonstrated by the instructors at the South Surrey Mathnasium has made all the difference in our daughter's success in math. Very responsive and flexible with changing schedules. With the help of Mathnasium, my children have developed a love for Math! They are more confident, motivated and ready to take on challenging math topics. My daughter is doing very well in math and gaining confidence! My daughter enjoys coming here! Our son has really benefitted from the help he gets at Marhnasium. I would recommend it to any parents searching for added support in their child’s math proficiency. Barindra is so friendly and helpful. She could always make the times I needed work. My daughter also liked the staff and the atmosphere. She doesn't hate math anymore and her marks are imroving. Love love love this program! My boys love to learn math now. It's their favourite subject and they look forward to coming to class every time. We are pleased the mathnasium so far and look forward to continuing over the summer. I loved the interest taken in my daughter as an individual. She was treated well and communication regarding her needs was specatacular. Great communication and wonderful support. Love the environment and desire to help my child. Staff are supportive and helpful.Times of lessons are good and we'll planned.Staff are open to accommodate needs of child. My daughters confidence and grades have vastly improved since joining Mathnasium. We are very pleased with the progress and staff. I would highly recommend Mathnasium. Barindra is great with the kids and accommodating our schedule change with the kids. I am looking forward in having our kids to have fun while learning and being confident in math!!!! The progress reports are great and they are very flexible with your child's schedule! Really appreciate the efforts made with Alex. We have seen improvement every year in his math skills. Been there for a month now. My son is loving it so far! He's even asked to increase his days from 3 to 5! So I'm assuming with that it's a pretty great place to build up math confidence! For the first time my daughter has felt confident that she can conquer the Math territory. Thanks to the Mathnasium team's guidance and support! Excellent customer service and professional follow-up calls. My kids love going there. The variety of teachers made it easy to find one that was able to teach the concepts easily to our kids. A great program! My daughter is finally understanding math after years of frustration! We're looking forward to a great school year in math this coming year - thank you! So far, everything has been great. My son loves coming and feels supported by the tutors. Barindra is very knowledgeable and helpful. Loves our experience there! Will definetely recommend and use if needed in future. So far my son states he enjoys the learning he feels comfortable also competent in his current learning. Our son went from struggling in math in grade 3 to now getting straight A's in math in grade 5. He only went to Mathnasium for 6 months and it made a huge difference. Our daughter is in grade 2 and she is struggling too and we have signed her up. I don't know how they are teaching math in schools today but I am certain that Mathnasium have figured out a way to allow kids to understand math in a way that one usually only developed in adult hood long after school is over. I am also encouraged to see my kids looking forward to going and the incentive program including small rewards for work completed works great. It's a measurable tutoring process. The staff assesses each students abilities and Tailors a program for each child. They will test children at intervals and progress can be measured based on the results. I highly recomend this affordable program. My daughter loves it! Her Math has improved so much! The most important thing is kids like to go there. And Mathnasium find their weak point and fix it. It's been great for my daughter Zoe, she was behind by 1-2 grades in Math, after well over 2 years of Mathnasium and her strong with ethics at school she is on par and doing very well in her class. I will contrinue With Mathnasium for as Iong as required. Our daughter is more open to letting us help her with her math homework. The only way to learn mathematics is to do mathematics. Paul Halmos (1[PHONE NUMBER REMOVED]; Hungarian-born mathematician) And thank you to Mathnasium / Director Barindra Dua and her team of instructors/ for helping our kids to learn MATHEMATICS. Staff was responsive to our granddaughter's needs. She was not always. Delighted to be going to class but she did acknowledge that it was botulism. My 12 yr.old daughter really enjoys the program. Can't believe she likes going as often as she does!!! The prize system is a real motivater. Our daughter is been attending mathanasium for over a year now. She really enjoys learning new math concept. Her math skills are getting better and better at school. A big thank you to Barindra!! Happy with the work being tailored to the needs of the child. Happy with the ratio of students to helpers/teachers. Happy with the reward system. We are very happy with the experience our son is having at Mathnasium. Very supportive staff, a calm environment without a sense of pressure...we are noticing our son's confidence with Math improve as he masters the various concepts. Lex has become so much more confident with his math. He looks forward to coming to Mathnasium & isn't afraid of learning math at school anymore! Mathnasium has helped my child gain confidence in everything he does. Barindra has been an amazing support to our family. My daughter loves going to Mathnasium even though she used to hate math. We cannot tell yet how much she has improved but she seems more comfortable with numbers. Our daughter's math grade has improved since she started going to your learning centre. We have also noticed a huge improvement in her attitude towards math. Barindra and her team are doing a great job! Keep up the good work!